I don't (and shouldn't) put a lot of stock in these stupid sticks, but I had one left from my 3-pack and figured I'd just give it a go this afternoon. It finally says 2-3 weeks instead of 1-2 weeks. What does that mean for my beta? Who knows? 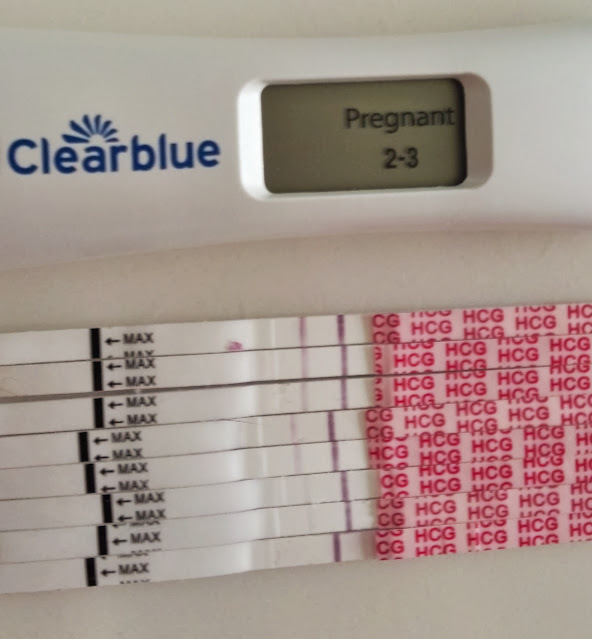 But I think it's safe to assume my hcg is rising and since these sticks measure time from conception, my pregnancy is right on track since I'm 4w3d today. And while I know it's silly to care what a silly stick says, it does make me feel a little better to see 2-3 in that window. I'm glad these CBEs are all gone. I only have one FRER left and a handful of wondfos. The allure of POAS is starting to wear off for me anyway, which is a good thing! Monday's beta seriously can't get here soon enough! If it wasn't for the weekend, it would have been scheduled for today. I never thought I'd want to wish a weekend away! Thanks for all of the comforting words during my serious case of the crazies! Liz, I am SO hopeful and praying that your beta on Monday will be wonderful! Please keep us posted....will they tell you the same day (I hope!)? They should let me know within a couple of hours. I will definitely post the results right away. I think you are going to have a fantastic beta!!! So happy for you!! LOL - it's a sickness, I can't seem to stop. This is so exciting! I too cant't wait for your beta to check on your baby twinblings. Continuing to send good wishes your way. Keep us posted and come on weekend, hurry up already!! Fingers crossed for a good, strong beta on Monday! This is 100% good news! Try to rest easy tomorrow! I know there are a lot of steps ahead, but it really does look like your hcg is rising according to all sources! I don't know about resting easy (it's nearly impossible for me) but I sure hope I get a good number! Thanks Kimberly! Praying for your beta on Monday! Mine is Monday too! Thanks! 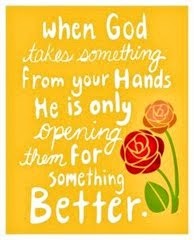 praying for you too! You are too funny! Please keep us updated and God bless you! Thank you! I definitely will keep you all updated. looks great! Good luck tomorrow!!!! Happy beta day! I'm thinking of you!! What's the deal with these hot flashes? Transfer complete! Meet the twiblings.